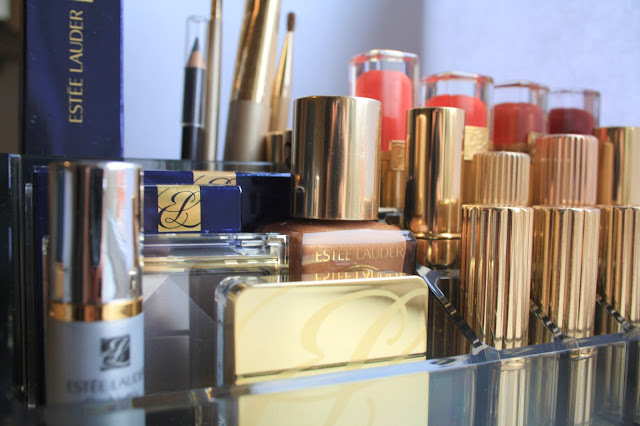 I've written before about my Mum's love for Estee Lauder. Handbags, drawers and dressing tables sparkle with that familiar glint of gold, and when it comes to shopping, there are few finer words than 'gift with purchase'. Whenever I read a blog post about makeup organisation, I think of Mum, and while at home, I managed to pick up the perfect display piece for all her gorgeous, gilt cases. The results were even better than we thought they would be. wow- this is super pretty! Thanks, Hayley! We think Estee Lauder should give these stands away as gifts! 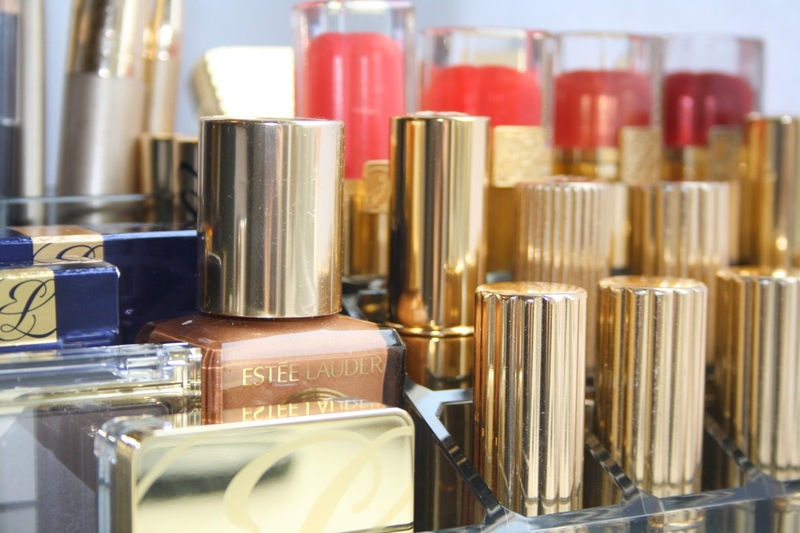 Well I'm the mum in question and I'm totally smitten with my gorgeous mini display, it's fantastic to have all my favourite Estee Lauder products shimmering on my bedside table. 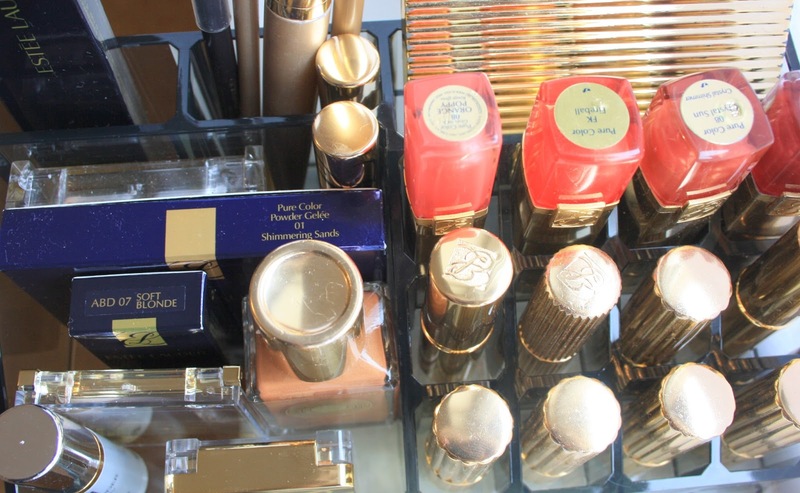 It's brought all my wonderful make up to life (although I must remember to pop a lipstick into my handbag in future). I'm so lucky to have a daughter with such an eye for a beautiful thing. I'm now on a quest to fill another display unit - I can feel a shopping spree coming on when I visit London this week - there must be an Estee Lauder gift offer somewhere!